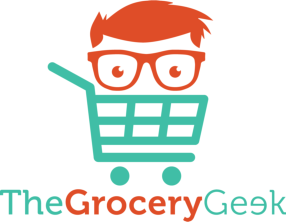 Tip Top – The One – is set to make mum’s day a whole lot easier. The One Mixed Grains Sandwich is different to your ordinary grain bread as it contains grains chosen by kids for kids. Kids will love the soft and tasty bread, and mums will love that it has 1/3 of your Daily Target of Whole Grains*. The One contains high fibre, added vitamins & minerals, so you know you’re onto a winner! Added Vitamins & Minerals: for everyday benefit. B-Group Energy Vitamins – Thiamin for normal energy production and Niacin for normal energy release from food. 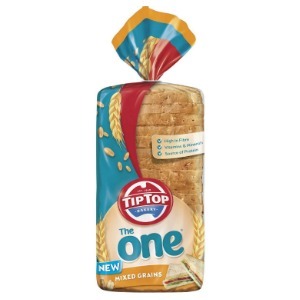 *Two Slices of Tip Top® The One ® Mixed Grains contributes 35% of the 48g Whole Grain Daily Target Intake. ** As part of a healthy and varied diet.